Whenever you’re in a situation that requires emergency medical attention, you should get to your nearest community health centre as quickly as possible. Green – A health worker will attend to you when they’re available. Yellow – A health worker will attend to you as soon as possible. Orange – A health worker will attend to you urgently. 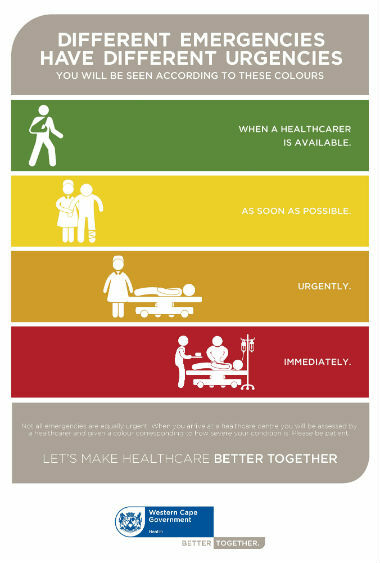 Red – A health worker will attend to you immediately. By following this system, you’ll receive the right treatment at the right level of care, as it allows life-threatening injuries and conditions to be attended to first. Always go to your local clinic first to have your required level of care and treatment determined by medical staff. Remember to take your ID with you if you can. If you need follow-up care, the health worker will set up an appointment to ensure you receive the necessary treatment at the right level of care at your clinic. To avoid long waiting times, always try to be on time for your appointment, and remember to bring your ID book or card. Once at your clinic, your condition is assessed and treatment will be determined, which may require a referral. Be sure to always have your ID book or card with you when visiting the clinic. For life-threatening emergencies where you can’t get to a community health centre on your own, you must call our ambulance services as soon as possible on 10177. To be in an accident or suffer a medical emergency can be very traumatic. Trauma can be managed or reduced if you know how to manage the emergency. It's important to know what to do when calling an ambulance and what to expect when you get to the hospital. 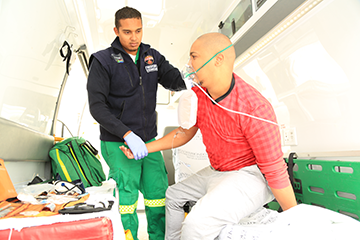 Non-emergency calls account for up to 70% of calls received by Emergency Medical Services (EMS). These range from headaches to toothaches. These types of calls hamper service delivery and place strain on already limited resources. The number to dial include 10177. Please have the patient details on hand when calling to ensure that the incident is referred to the correct emergency unit. The current medical status of the patient. For example, are they breathing? Are their symptoms worsening? Any ongoing medical issues that you’re aware of, like breathing problems or heart issues? Are they taking any medication? Any changes to the patient’s condition while you’re on the call. Your exact location, with any landmarks that may help us find you faster. An emergency medical resource is dispatched based on the information provided by the caller. 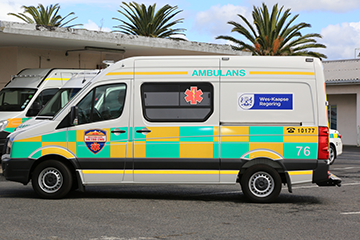 In the event of a priority 1 (P1) medical emergency the ambulance will arrive within 15 minutes or less, 80% of the time. Non-life threatening priority 2 (P2) calls will need to wait longer due to pending P1 emergencies. The EMS triage system begins when you first contact an emergency call centre. prioritise the severity of the emergency using several filtering protocols as well as input from emergency medical practitioners at the emergency call centre. At this point the incident is given a triage colour code. It’s important to give details about the emergency to the call centre to make sure that the correct code is allocated to it. Most calls are triaged green due to 70% of calls being non-emergency incidents. We need to ensure that response time isn't wasted on non-essential calls. EMS aims to arrive within 15 minutes of the initial call. Currently, there’s no single emergency number in South Africa for emergencies. It’s very important for you to have the correct contact details handy for a speedy response to your specific emergency. Here's more information on who to call in an emergency.